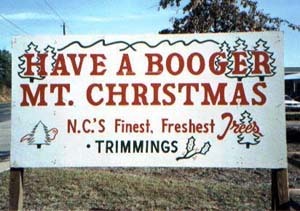 Booger Holler is a sacred site in North Carolina, and Booger Mountain is a leading supplier of Christmas trees (remember their motto “Always pick a Booger”). Anyway we now see this new Booger, Booger Swamp wine! A fantastic new white wine blend has appeared in North Carolina and it’s taking the state by storm. Sold by Brushy Mountain wineries, the new wine is dubbed “Booger Swamp”. "During the Civil War, people living in the vicinity of Booger Swamp (an area southeast of Elkin on state roads to Yadkinville), used the swamp as a hiding place whenever Yankee troops passed through the area. For protection, the people told their children not to go in the swamp because “boogers” or spirits, lived there and would get them if they did. Since the Civil War, the name has continued for the general area. 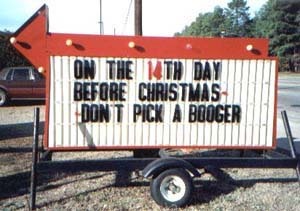 There is a Booger Swamp Road today. Recently, a woman came into the tasting room and said that when she was a little girl, her parents told her that “boogers” and people without heads lived in the swamp. This was to keep them from taking short cuts as they came home from school. Again, this seemed a rather charming and historically appropriate name for our really fine white blend. 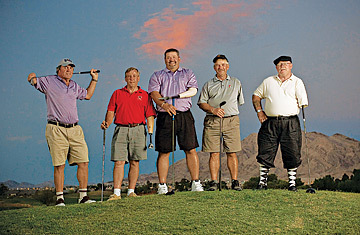 One armed golfers are the BEST! If you want to learn golf properly, you cannot beat a one-armed PGA Master Professional. Being a one-armed golfer required incredible talent, and I’ve never seen a better instructor than Brad Clayton, the one-armed golfer. It’s incredible to see a one-armed golfer smash a long drive out-of-sight, and it inspires confidence, and demonstrates that the art of the long drive is more about form than raw muscle. "Having one arm is difficult for balance, hard for timing and hard for getting the clubhead in the right spot at impact,"
Brad Clayton is very active in donating his time to teach golf to disabled war veterans, and I can’t say enough nice things about him. We are going to encourage Brad to enroll in this one-armed tournament, and whether he plays of not, it’s going to be a fantastic pre-show to the Ryder Cup. American dog owners go to great lengths to pamper their pooches, but Poodle Topiary is the latest US fad. 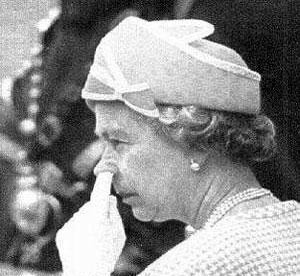 To most Americans, all we know about this England country is what we see on TV, relying on shows like Graham Norton and Benny Hill to teach us about our British cousins. For years, Microsoft has been promising to offer-up XML tagged documents, a Godsend to business professionals who want interoperability when sharing documents with the non-Microsoft world. But bend over and spread your cheeks, Bill Gates has done us again. Internally, the Microsoft Office 2007 XML files are a collection of xml files (and images) that are zipped into one file, in a format completely unknown to any word processor on the planet except, of course Word 2007. In order to keep-up their mandate to American businesses zillions of dollars in lost productivity, Billy Gates has chosen to make the default file types as docx, requiring millions of people to upgrade to Word 2007 or go through time-consuming and annoying conversion processes. As hundreds of millions of people struggle with this, the total waste will surpass entire lifetimes. Double entendre web site names! In our web-enabled world, it can often be a problem when mashed-up URL names take-on double entendre status. In this amazing video we see a brave North Carolina man who successfully fought for his life. The crook tried to murder him (the gun misfired), and he fought back, all caught on video surveillance tape! Don't miss the Today Show video. I live in the gastronomic wasteland of rural North Carolina where all foods are bland and deep fried, creating a dire dining situation that calls for extreme creativity. One benefit in being in an exclusive country club is that you share a private restaurant with a small group and you can get personal attention from a classically-train executive chef. At our private restaurant the members have their own food lockers where they can keep their personal delectables. 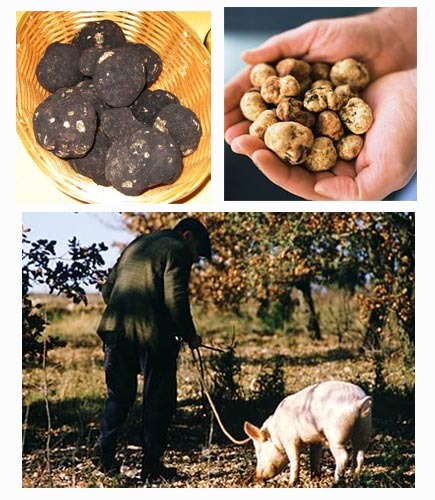 Some folks keep caviar and Dom, while some stash a few bottles of Château Mouton Rothschild for special occasions, but I stock-up with fine foods that are not easily obtained, like USA truffles. Some folks like Kobe beef, but don’t want Japanese beef. Fortunately you can now get USA Kobe beef, delivered by mail, overnight. 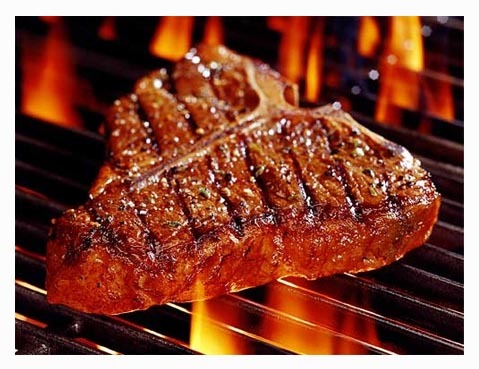 Allen’s sells two Kobe rib eye steaks by mail for only $139.95, a great deal. You can also check-out imported cheeses from Cheeses of Nazareth. A fine cheese platter is not limited to those who can afford imported cheeses and you can create a passable cheese plate with local ingredients. Slim Jim's can pass for salami, spam is reminiscent of the Italian bologna, and Cheese Whiz adds a decorative touch. 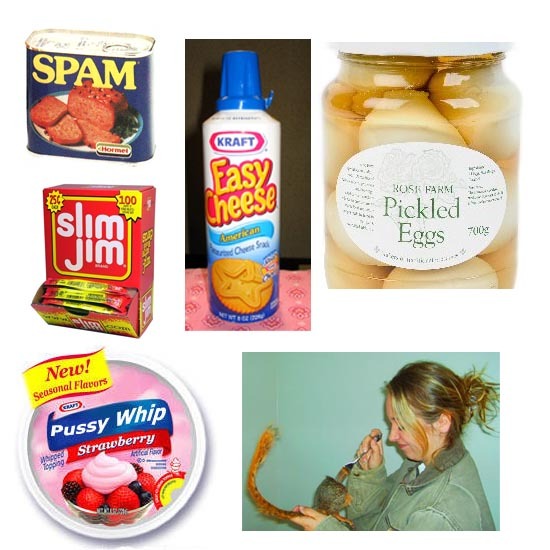 Add some juliened pickled eggs are you have the perfect white trash appetizer. In this age of unbreakable software and super-reliable hardware, human error is responsible for the vast majority of unplanned outages. Sadly, the problem is getting worse, and we see an alarming increase in willful deception, "fake Oracle experts", whose goal is to fleece the unsuspecting IT shop. 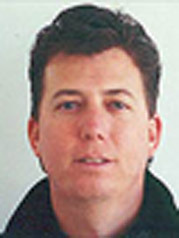 The fly-by-night "poser experts" carefully hide their resumes and verifiable work history, others resort to outright deception, like scumbags who create fictional Oracle experts, complete with a photograph and convincing credentials! 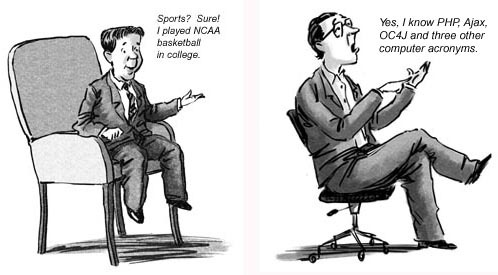 The problem of inexperience and human error has several root causes. On one hand we see desperate job candidates who "puff" their job experience, often claiming that their unpaid years of dabbling with Oracle on a PC constitutes real experience. Read more about how bad DBA's destroy databases.